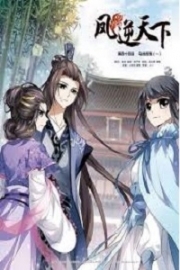 You’re reading novel Chaotic Sword God Chapter 768: The Kara Clan online at LightNovelFree.com. Please use the follow button to get notification about the latest chapter next time when you visit LightNovelFree.com. Use F11 button to read novel in full-screen(PC only). Drop by anytime you want to read free – fast – latest novel. It’s great if you could leave a comment, share your opinion about the new chapters, new novel with others on the internet. We’ll do our best to bring you the finest, latest novel everyday. Enjoy! What Jian Chen did angered the Radiant Saint Masters of the Kara clan immediately. Other than Kara Liwei, the other Radiant Saint Masters began condensing Radiant Saint Swords. The six swords shot towards Jian Chen at the same time. Jian Chen’s gaze was cold. He raised his left hand slightly and the surrounding Radiant Saint Force immediately began to gather quickly. In a short blink of an eye, it formed a huge s.h.i.+eld before him and another three Radiant Saint Swords had already gathered around Jian Chen’s right hand at the same time. When the six swords from the Kara clan people collided with Jian Chen’s s.h.i.+eld, it immediately gave off a powerful sound. The six Radiant Saint Masters were not weak, far stronger than those that Jian Chen had met before. Jian Chen’s s.h.i.+eld broke loudly only after blocking three swords,, and the three other swords continued towards him without faltering in power. Jian Chen remained calm and unperturbed. With a slight wave of his right hand, the three swords before him immediately shot out with lightning speed, colliding with the three incoming Radiant Saint Swords head-on with a loud sound. Jian Chen’s Radiant Saint Swords were clearly more powerful than the ones from the opposing people. His opponent’s swords immediately shattered when the six swords collided mid-air, while Jian Chen’s swords continued towards the three people. However, they were weakened by the collision, clearly much less powerful than before. The three swords transformed into streaks of white light, directly colliding with the three people’s chest with lightning speed. In that very moment, it cracked their Radiant Saint Armor, while their fragile bodies were affected by the powerful collision, jolting their bodies. A mouthful of blood sprayed from their mouths, and their faces paled immediately. The people from the Kara clan all revealed shocked expressions, staring at Jian Chen in disbelief. Jian Chen’s strength stunned them, but what truly overwhelmed them was that they had never even heard of such a powerful Radiant Saint Master. This was the true reason for their disbelief. The Kara clan had collected information on almost all the Cla.s.s 6 Radiant Saint Masters. Although it was impossible for them to know every Cla.s.s 6 Radiant Saint Master, it allowed them to pay close attention to a few powerful Cla.s.s 6 Radiant Saint Masters at the very least. Kara Liwei’s expression became unprecedentedly stern. The young man’s strength also shocked her very greatly, because even she, ranked first among the top ten Cla.s.s 6 Radiant Saint Masters, had no confidence in winning against the young man before her. Jian Chen’s movements did not stop at all because of their shock. With a thought, another few powerful Radiant Saint Swords condensed before him. He could already feel the changes to the white tiger. He needed to slaughter the people before him as soon as possible, and then go into the cave to check on the white tiger’s situation. “Yang Yutian, stop. We are people of the Kara clan and we do not wish to become enemies with you.” At this moment, Kara Liwei suddenly called out with a high pitched voice. She had never seen Jian Chen, but she could at least guess Jian Chen’s ident.i.ty. “What!? Yang Yutian!? He’s Yang Yutian! ?” What Kara Liwei had called out caused all the other people of the Kara clan to be astounded. However, they soon realised that it was not surprising. There was only one Radiant Saint Master who possessed such unbelievable strength where not only did they fail to deal with him with so many people working together, three of them were injured. It could only be the third disciple of the Radiant Saint Master Union president, the person who knew the forbidden artes and killed over thirty Heaven Saint Masters all by himself, Yang Yutian. After learning the young man’s ident.i.ty, their gazes towards Jian Chen changed immediately. The anger within disappeared, because they all understood that the young man before them had an extremely great chance at becoming the next president of the union. He was a person that they could not offend no matter what. Kara Liwei used her limpid eyes to look at Jian Chen with a complicated gaze. She too did not think that she would meet Yang Yutian in such a way. Also, from what happened before, Kara Liwei had personally witnessed Yang Yutian’s coldness and ruthless resoluteness, as well as his powerful strength. This allowed Kara Liwei to finally grasp some understanding of what type of person Yang Yutian was. Although he was only twenty-four this year, Kara Liwei understood that Yang Yutian was vastly different from regular Radiant Saint Masters from what happened before. He could not be underestimated at all, and could not be judged according to his age. “Correct, we are indeed people from the Kara clan. Yang Yutian, my Kara clan has no intentions of becoming enemies with you. What happened before was a misunderstanding.” Kara Liwei looked at Jian Chen and said softly. In the very moment she saw Yang Yutian, she immediately forwent her preparations to work with Yun Tian. This was because Kara Liwei understood that Yang Yutian could not be offended no matter what, and if he was offended, the outcome would be much worse that offending Yun Tian. Also, Yang Yutian greatly exceeded Yun Tian in both talent and strength. She had even felt a sliver of the presence of slaughter from Yang Yutian, something Yun Tian definitely did not have. The Kara clan was one of the three great clans of the Holy Empire, and controlled a third of the empire’s fate. At the same time, they were as powerful as an ancient clan, which also made Jian Chen quite fearful. He did not want to purposely provoke the clan over some small matters. Most importantly, the Qinhuang Kingdom was a subsidiary of the Kara clan. If he did fall out with the clan, even the Qinhuang Kingdom would be affected when his ident.i.ty was exposed. Seeing how Jian Chen did not wish to pursue the matter, the people of the Kara clan immediately relaxed slightly. This was because if their relations.h.i.+p with Jian Chen took for a bad turn, it could greatly affect the clan. This was something they did not wish to see. One of their people was sent out of the compet.i.tion from the conflict before, but it was not life-threatening, so it was not too big of a problem. Currently, the presence from the white tiger was no longer blocked by the barrier cast down by Jian Chen. Inside the cave, it became more and more powerful, enveloping a radius of several dozen kilometers. It was also constantly increasing. Hearing that, Jian Chen furrowed his eyebrows, before looking at the people rather impatiently. He said coldly, “Leave here immediately, or I can only offend you.” Before the people had left, Jian Chen could not enter the cave no matter what, because the barrier inside was just too difficult to explain. Also, he could not allow for any part of the white tiger’s ident.i.ty to leak out. Jian Chen’s rudeness caused the people’s expressions to change slightly. Kara Liwei was affected in particular. As the special first young lady of the clan, she was never spoken to in such a way. “Yang Yutian, it’s us who first discovered this cave. Are we not even allowed to stay and have a look inside?” Kara Liwei said rather unhappily. Unconcealed anger welled in her alluring face. If it was another Radiant Saint Master who spoke to her like that, she would definitely not have held back, but thinking of how terrifying and how strong Jian Chen was, as well as the fact that it was extremely possible that he could become the future president of the union, Kara Liwei could only control herself. The presence within the cave increased constantly, while Jian Chen could clearly feel that the energy inside was becoming more and more unstable. It made Jian Chen rather anxious. “People of the Kara clan, since you’re unwilling to leave, I can only move against you all!” Jian Chen called out coldly. As soon as he finished speaking, the surrounding Radiant Saint Force rushed wildly towards Jian Chen. With a finger pointing at the sky, he bellowed, “Judgement’s Sword!” In order to avoid wasting any time, Jian Chen could not care any more, even if it meant offending the Kara clan. “Judgement’s Sword, one of the three great artes. Yang Yutian, you… you… you…” Kara Liwei’s expression immediately changed greatly. She had never thought Yang Yutian would actually move against them, much less use one of the three great Radiant Artes immediately, as if he beared a huge grudge towards the Kara clan or something. Kara Liwei was clearly angered very much. In her opinion, Yang Yutian was rude and unreasonable. As the first young lady of the Kara clan, he possessed a great status, yet she had already spoken to him in such a humble manner. However, he did not appreciate it, and instead wanted to start fighting just because she said displeasing. Kara Liwei gritted her teeth and glared viciously at Jian Chen with her beautiful eyes. She felt like her chest was about to burst from anger, but seeing the sword quickly condensing above Jian Chen, her complexion then became ugly. The whole situation had already developed to a point, where she knew they would really have to clash with Yang Yutian if her group stayed for any longer. “Yang Yutian, stop right now! We’ll leave immediately.” Kara Liwei’s beautiful face had already become ghastly-pale from anger. After signalling all the people, she left immediately, disappearing into the distance. With their departure, the sword above Jian Chen also slowly dispersed. Unless he had to, he did not want to offend the Kara clan so easily. He was fearful of the clan, and he worried for the Qinhuang Kingdom. After watching Kara Liwei’s group depart, Jian Chen entered the cave in a flash, pa.s.sing through the barrier without any obstruction. Kara Liwei’s group stopped twenty-five kilometers away. Currently, all their complexions were ghastly, all sheet-white from resentment. “This Yang Yutian has gone too far. He actually treat us like this. Does he want to become enemies with our Kara clan?” A middle-aged man said angrily. “This Yang Yutian is just too arrogant and harsh. Just because he has impressive talent and is very likely to become the next president, does he intend on looking down on our Kara clan? Hmph.” A ruddy old man was also quite angry, speaking with a resentful tone. “It’ll clearly be extremely difficult to work with this Yang Yutian since he’s so arrogant and unreasonable. Miss, what do you think we should do?” Another middle-aged man asked. 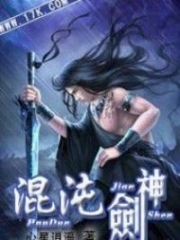 You're reading novel Chaotic Sword God Chapter 768: The Kara Clan online at LightNovelFree.com. You can use the follow function to bookmark your favorite novel ( Only for registered users ). If you find any errors ( broken links, can't load photos, etc.. ), Please let us know so we can fix it as soon as possible. And when you start a conversation or debate about a certain topic with other people, please do not offend them just because you don't like their opinions. You're reading Chaotic Sword God Chapter 768: The Kara Clan. This novel has been translated by Updating. 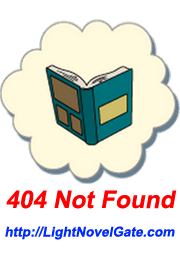 Author: Xin Xing Xiao Yao already has 10902 views. Current Time is Apr-23-2019 00:11:04 AM.